If you are a player belonging to Real Madrid, the first rule you learn is to probably never miss a chance of beating or getting above Barcelona, be it on or off the pitch and if you do it time and again in a manner which is loved by your fans, you turn into a legend at the club just like Sergio Ramos has done so over the past few years. The defender did not hold back once the chance to humiliate Barcelona arrived as he claimed he wasn’t surprised by Barcelona’s thumping at the hands of PSG in the Champions League this week. After Real Madrid beating Napoli by a score of 3-1 in the first leg of the knockout, it was rather more pleasing to talk about Barcelona’s 4-0 thrashing the night before. Real Madrid, meanwhile are currently top in the La Liga standings, one point above the Catalans with two games in hand. Zidane’s men came from behind to beat Napoli with goals from Benzema, Toni Kroos and a sensational volley from Casemiro. 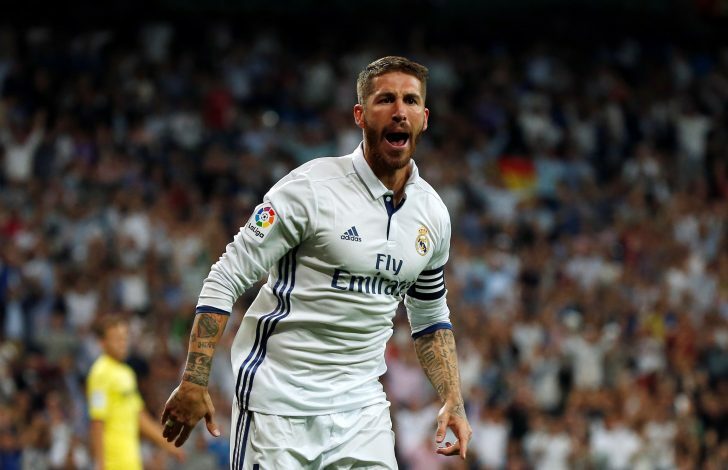 Ramos made his 500th Real Madrid appearance on Sunday and played only 71 minutes in the Champions League before being taken off injured as he hopes its nothing major.